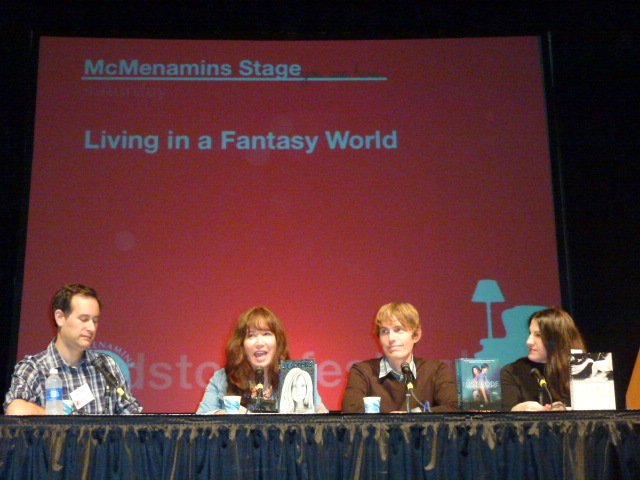 Here are pics of our YA fantasy/dystopian panel at Workstock in Portland. 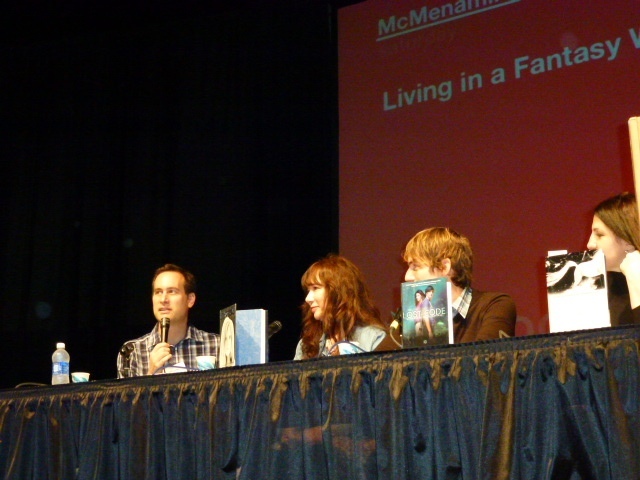 David Levithan (EVERY DAY) is our moderator and to my left is Kevin Emerson (THE LOST CODE) and Alex Adams (WHITE HORSE). David is an experienced and smart moderator (he’s also an editor and a NYT Bestselling author of several books), so it went smoothly. Kevin was my conference buddy, and Alex was so nice, we all had a nice chemistry on the panel. We had a crowd of maybe 400 audience members, but no one took a picture for me. 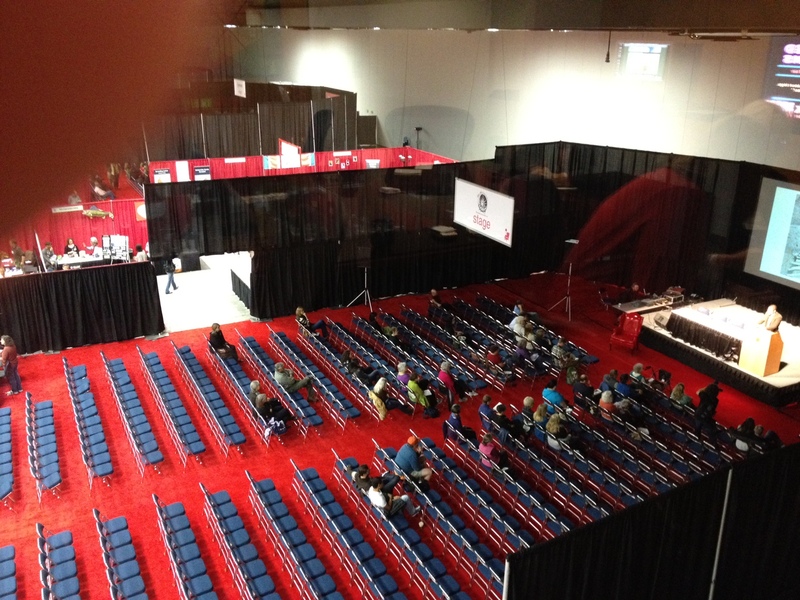 So here is what the area looked like several hours before our panel (I took this from the second floor VIP room). And you’ll have to imagine those seats filled with bodies because they were. We had a great turnout.